Most people are not very fond of wasps, hornets, and yellowjackets. Especially when encountered around or even on your home, at a picnic or a barbecue. And why not? These little critters can pack quite the punch, with their very painful stings. However, here are some fascinating things you might not know about wasps. Maybe it will change your perception of them? Or perhaps, you still prefer to keep a distance from them. Either way – knowledge is power. Wasps are fierce predators… which, believe it or not, serves a useful purpose. They hunt and eat almost every insect pest that harms crops. Wasps eat grasshoppers, aphids, flies and even other bees. They also eat nectar, tree sap, fruit and even human food…. Making them an unwelcome picnic crasher. Not all wasps live in colonies. With approximately 30,000 different species of wasps, they can be quite diverse. There are two primary subgroups: social wasps and solitary wasps. As the name implies, solitary wasps live alone, like the mud dauber. 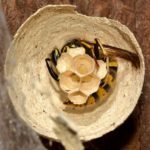 Most wasps make nests from bark and wood … by chewing the pulp to form paper cells. Other wasps, like the mud daubers, will use mud to build tubes as their home. Wasps can sting more than once. Yes, that is right. 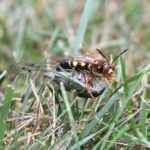 Wasps can repeatedly sting – over and over – Ow! This is because their stinger is not barbed and will not come off, unlike a bee. structures and all the other wasps will die off in the fall. The queens will start a new colony in the spring and can grow a colony as large as 50,000 wasps in one summer. The truth is, wasp and other stinging insects are only a pest if they have invaded your home and yard. 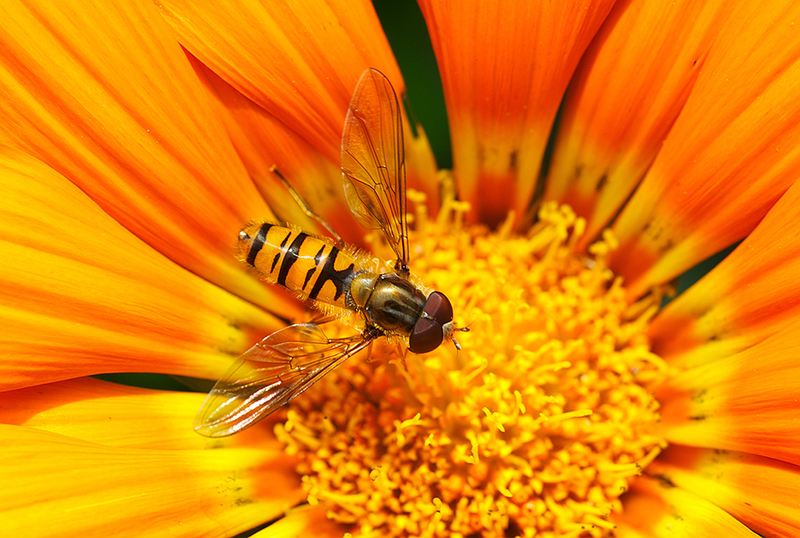 If you feel like your yard is off limits because of wasps, call Modern Pest Services. We specialize in wasp control all over Maine, New Hampshire, and Massachusetts. Our service pros are knowledgeable and able to get pest issues under control and help you regain use of your yard. Modern Pest Services uses a “modern” approach to pest control with seasonal treatments, non-chemical monitoring and exclusion techniques. We keep your home pest free while limiting exposure to pesticides! If you need help with wasps in your house or yard, contact Modern Pest Services.